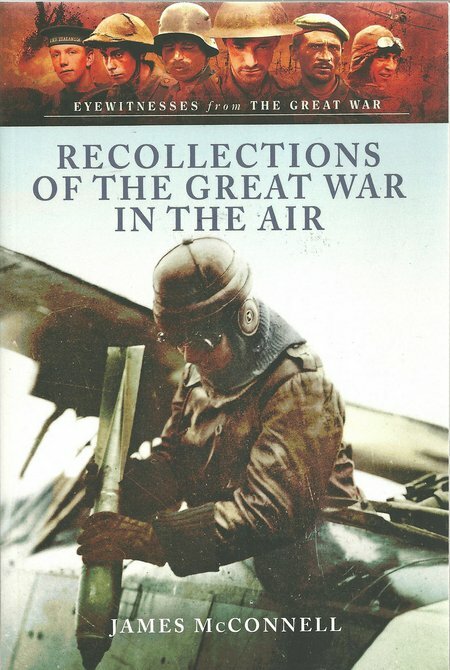 DESCRIPTION: Illustrated through the body of the book, this is the memoir of James Roger McConnell, an American pilot flying with the famous French Flying Corps’ American ‘Layfayette’ Escadrille and provides a unique personal insight into the air war in Europe. McConnell enlisted as a US Volunteer in the French Flying Corps in 1915. He was part of a remarkable group of young Americans who decided to seek adventure in the Great War, flying initially in fragile aircraft that had rapidly evolved by 1917 into purpose built fighters. As with so many of these early aviators, his life was short, being caught by two German fighters in 1917 and shot down. His memoirs tell a gripping story and provide a unique insight into the early aerial battles. This is essential reading for anyone who is interested in the Great War and the development of combat aircraft. As it is almost 100 years since McConnell enlisted, there may be many more readers who are motivated to find out more about this first mechanized war and its extension into the air.